With every great hero, there is invariably at least one great villain. Every Sherlock Holmes must have his Moriarty, every Beowulf his Grendel. These villains show us how fantastic our heroes are by consistently pushing them to their limits, making them better people as a result. Occasionally, though, a villain can be such a fascinating character that their personality transcends any relationship with their hero. Villains such as these become ingrained in our minds, and, when written correctly, can have stories which define them just as much as their protagonist counterparts. As you are probably well aware, DC Comics has been celebrating the second anniversary of the New 52 with 52 one shot issues starring the various villains of the DCU. 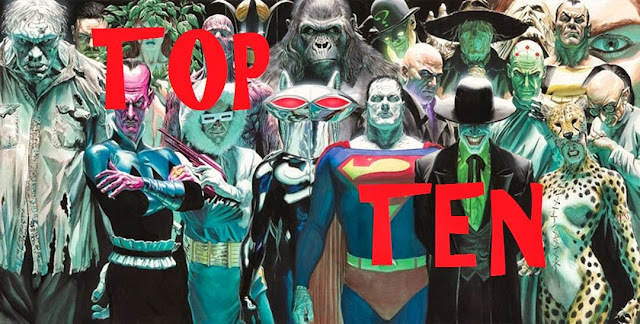 With that in mind, Harper, Shane, and Kyle decided to put their heads together to come up with a list of our favorite villains of the DC Universe in no particular order. This is, of course, a list of just our opinions, so you may be a bit surprised (or upset) that your favorite villain may not be on here! Out of all of the classic villains of the DC Universe, meaning villains you consistently see whenever there is some large, evil gathering (even in the Legion of Doom on The Super Friends), one villain who may be the most under-appreciated is Captain Cold. Perhaps it is because, before the New 52, Captain Cold seemed like a poor man's Mr. Freeze, yet another villain using an ice ray to stop the hero (in this case the Flash). But Leonard Snart is so much more than just his weapons. Snart is not only the leader of a group of a Flash villains known as the Rogues, but he is also very attached to his family, specifically his sister (also a Flash villain). Unlike most super villains, however, Captain Cold does evil because it his job, not due to anything lacking in his brain or morality. He takes this job incredibly seriously and enforces a certain morality on the rest of the Rogues. 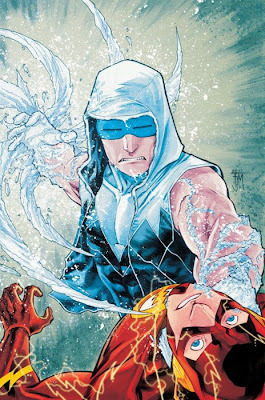 It is perhaps that desire for wanting to be a villain with morals that makes Captain Cold such a fascinating character, but his new found abilities in the New 52 insure that his powers are just as different and dynamic as his personality. Let's be honest, this list was never going to be complete without an appearance of Lex Luthor. Very few comic book heroes rise to a level of popularity and renown where someone who has never even seen a comic book recognizes them. This distinction happens even more rarely for the villain, but, except for perhaps the Joker, Lex Luthor is easily one of the most recognizable comic book characters in the world. Unlike some celebrities, however, Luthor's popularity is very well-deserved. At the heart of the matter, Luthor is so much more than just the balding billionaire with an inferiority complex towards Superman. Luthor is a manipulative genius who is always so much more fascinating when his inner eccentricities and psychological demons are further explored. Lex is a more complicated character than many writers can make him out to be, and it is as a result of that misunderstanding that the character is not always used to his full potential. Much like Superman, Luthor is a character who is often placed in the most expected of situations based on a short list of universal personality traits. When put into the hands of a capable writer who understands the inner-workings of a man who literally has everything, pure comic book magic is almost always the result. Okay, so this is admittedly a very...unexpected choice for a list like this. It is likely that few other websites would put a villain like Black Hand on any top 10 list, but perhaps you'll understand his reason for being here. Admittedly, one thing that can be a marker of a truly effective villain is his/her presence in a number of stories which define various aspects of their character, values, etc. For some characters, this may mean one defining tale which fans continuously return to, but they are ultimately a character who has been put on the page by more than one capable writer/artist. 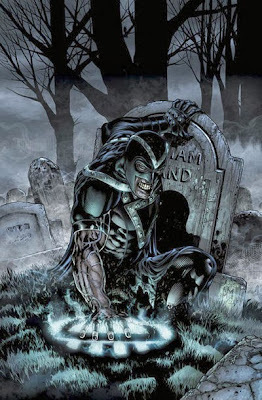 Though he first appeared in 1964, Black Hand really only has one story for which he is associated: the much-hyped Green Lantern crossover Blackest Night. On one level, the modern take on Black Hand is a representation of our present culture's fixation on zombies, but Blackest Night shows that there is so much more than just that. 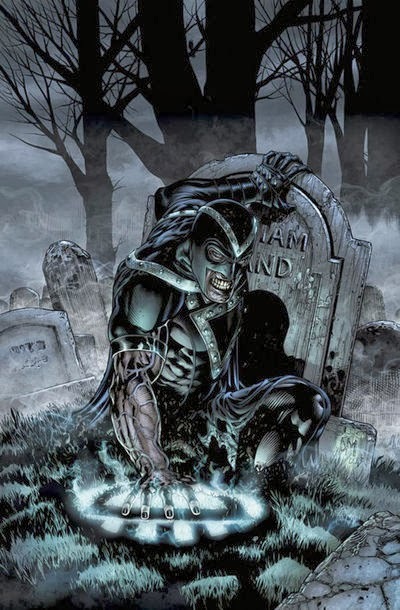 Not only does Black Hand possess power which can be incredibly dangerous in a world where heroes and villains are constantly dying, but Blackest Night more than proves how considerable a threat this villain can be. It is for that alone that he makes this list as well as the fact that his defining story is such a powerful show of force that the continued re-appearance of the character brings a lot of suspense. When, as a comic book fan, you find yourself explaining your favorite villains for certain heroes, few villains get a more confused reaction than the Reverse Flash. 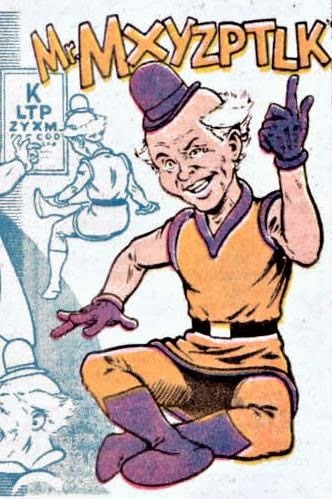 This is a name which, when seen, is instantly met with reactions ranging from curiosity over his super powers to outright laughter at his ridiculous. 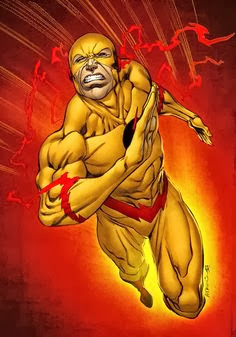 Nevertheless, the Reverse Flash is a character who rises above his more silly name to become a true threat to the Flash and, in the case of a more recent storyline, the rest of the world. Tapping into the same speed force as The Flash, but in a manner which allows him to travel back in time, the Reverse Flash has always sought to find some way to mess with his arch-nemesis. 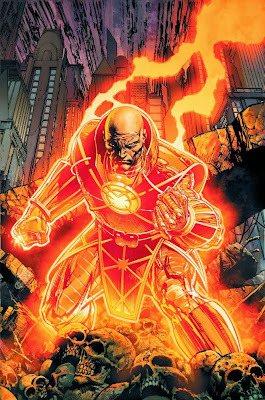 Easily the character's most known storyline is his involvement in Flashpoint, a crossover which resulted in Reverse Flash inadvertently rebooting the entire DCU. As the New 52 has continued, the identity of this villain has changed, but the one thing that has not is that this is a fantastic character who will always pose a huge threat to the Flash and everyone he holds dear. If you have listened to the GeekRex podcast for a while (and hopefully you have!) you may be well aware that Two-Face is Shane's favorite Batman villain of all time. It should come as no surprise, then, that Harvey Dent found his way onto this list. As mentioned earlier, a hero is always defined by his villains, and perhaps no hero has better villains than the Batman himself. Not only are Batman's villains indicative of a menagerie of various super powers and mental illnesses, but they each have some literal or figurative connection to Batman which make them instrumental in his development as a hero. For Two-Face, this, naturally, happens two fold. To begin with, the character is a literal representation of the duality which exists between Bruce Wayne and Batman. 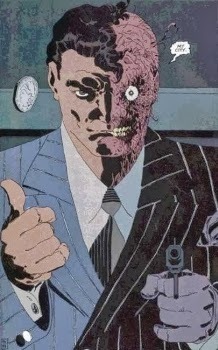 Although there is a small part of Harvey Dent which resides in this villain, the persona of Two Face as well as the obsession with the number two almost always takes center stage. On the other hand, Two-Face is also an ever-present reminder of the risk Bruce runs by bringing others in to help him in his war on crime. Though Two Face has had a number of great stories over his 70 year history, Jeph Loeb and Tim Sale's Batman: The Long Halloween gives perhaps the best interpretation of both Harvey and Two Face, a version of the character which would later be placed on the big screen in The Dark Knight. Philosophical connections to the hero aside, Two-Face is just a downright awesome villain worthy of inclusion in any discussion of the best of DC's rogues. "I did it 30 minutes ago". While this inclusion may constitute a spoiler for Watchmen, if you haven't read Watchmen at this point, or even seen the movie, what the heck are you doing with your comics reading time? Adrian Veidt aka Ozymandias is Kyle's pick for the top DC villain, not only because of his moral complexity but the sheer depth of creation brought to the character. Named after the Shelley poem, claiming Alexander the Great as a visual reference, and based upon comics-hero "Peter Cannon, Thunderbolt", Alan Moore tapped into something impressively thought provoking with the "morally grey" villain of his first opus. Ozymandias is probably DC's most lethally effective villain in their canon, having murdered millions in his attack on New York with the titular "psychic squid". On the other hand, this attack saved billions by giving the the USSR and USA a common enemy to band together against, and it all was a part of his masterplan. Depending on your perspective, he may be DC's greatest hero. This moral debate is inherently tragic either way, "Look on my works, ye mighty and despair" indeed. The fact that I can spell his name without looking it up is a testament to how much I love this character. What kind of villain can combat Superman, who is often criticized for being too powerful and having too many powers? Why, a magical imp from the 5th dimension of course! He is a perfect foil for Superman because in 95% of Superman stories, it is brute strength that wins the day, but with Mxyzptlk that does nothing. He challenges Superman to be a smart hero rather than just a strong one. He also is such a whimsical, comedic character that issues with him tend to be an oasis of ridiculous fun in an otherwise desert of grim stories. He’s such a bizarre, great leftover from the Silver Age. Plus, as anyone who has ever read Alan Moore’s Whatever Happened to the Man of Tomorrow? will tell you, he’s no pushover. Now, before you scoff, let me explain. One of the things that drew me into superhero comics in the first place is the fact that these characters have such complex rich histories, and few characters have such complicated backstories as Superboy Prime. His origin is one of the best Silver Age concepts to not actually come from the '60's: on a parallel earth in which DC superheroes exist in comic books (i.e. our world), Superboy Prime becomes their first hero. So freakin’ meta! He was a hero involved in the mega-event Crisis on Infinite Earths, where he takes voluntary exile outside of the multiverse with other anachronistic characters. When they decide to break out during Infinite Crisis is when Superboy Prime becomes the most powerful brat the universe has ever known, fighting the strongest Justice Leaguers because of his infinite jealousy for the perfect life that he was robbed of. Some of the best villains are those that, at first glance, don’t seem to quite match their heroic counterpart. Ra’s Al Ghul does not live in Gotham, doesn’t have a garrish costume or wear a mask, and really has no interest in crime or (typically) money. However, he is one of the most fascinating villains in the DC Universe because, more than most villains, he truly believes himself a hero. Al Ghul wants to guide the world to a better place, morally and environmentally. His methods are where Batman comes into play. Taking Batman out of Gotham and onto a world scale, Al Ghul elevates Batman into more than just taking on street crime. Stories with Ra’s turn Batman into such a morally strong character who still has heartbreaking weaknesses--specifically, in some ways he agrees with Al Ghul (and is even chosen to be his successor) and he is in love with Ra’s daughter, Talia. Ra’s Al Ghul gives Batman a chance to show the adventure, romance, and international heroism that other villains rarely afford the Caped Crusader--plus any villain that has Batman sword-fighting shirtless but still masked in the Middle Eastern desert=awesome. How could we even talk about DC villains without mentioning The Joker? Without a doubt the most well known villain in all of comics-dom, the Clown Prince of Crime really deserves the title. While he’s got a fantastic Golden Age design, his colorful costume belies a character with such depth and complexity that have afforded him many different incarnations, all of which are valid and add to his chaotic core. 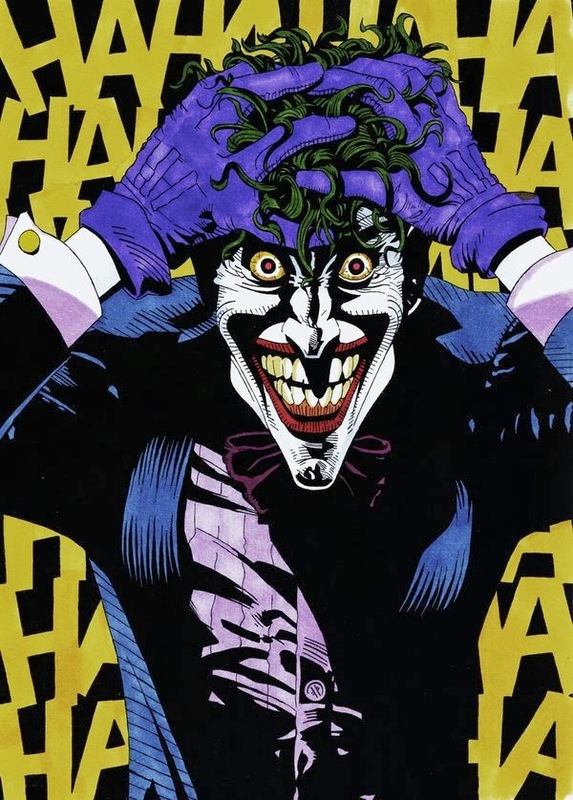 From the silly Joker we see in Batman ’66 or the Brave and the Bold cartoon to Heath Ledger’s legendary performance in The Dark Knight, the Joker seems to inspire creators to push their limits to make a fascinating character. One of the core aspects of Batman is his desire to bring peace and order to Gotham, which makes The Joker--whose only consistent characteristic is his pathological need to cause chaos--the absolute perfect foil. Batman is a master of logic and martial arts, and neither of those skills make any kind of chink in The Joker’s psychopathic armor. Because he causes such utter terror and hopelessness in such an otherwise brave and bold hero and because of his iconic nature, The Joker is one of the greatest villains ever created. So, there you have it. Those are our favorite villains of the DC Universe. Did your favorites make the list? If not, which villains do you think represent the best of what DC Comics has to offer? Sound off in the comments below!